Just when you think you’ve finally perfected your skincare routine, you come across a headline like this that throws a wrench in things: “You’ve Been Applying Your Skincare All Wrong.” I have? I had no idea! How should I be applying it? Is everything I know about applying skincare wrong? The argument for gently pressing skincare products into skin versus rubbing them in (like you might have seen in your favorite early ‘00s Neutrogena commercial) has arisen on blogs and in magazines and YouTube beauty guru tutorials. And the pressing method seems to be coming out on top. Pro-pressers believe that rubbing could stretch and wrinkle skin, while pressing pushes more product right into your pores where it belongs. But is there any merit to it? It seems like only science can hold the answer. Rubbing is not all bad, however. “Applying gentle pressure in a circular direction helps topical creams absorb and stimulates lymphatic circulation,” Dr. Nazarian says. 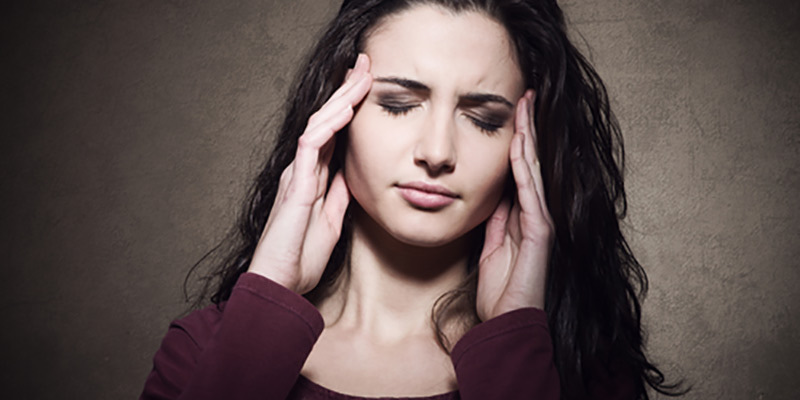 Proper facial massage technique and applying products in the direction of lymph flow can help eliminate lymphatic buildup and promote drainage, according to dermatologist Dr. Leslie Baumann in the Miami Herald. This can keep wrinkles and puffiness at bay. Not all skin is created equal, though. 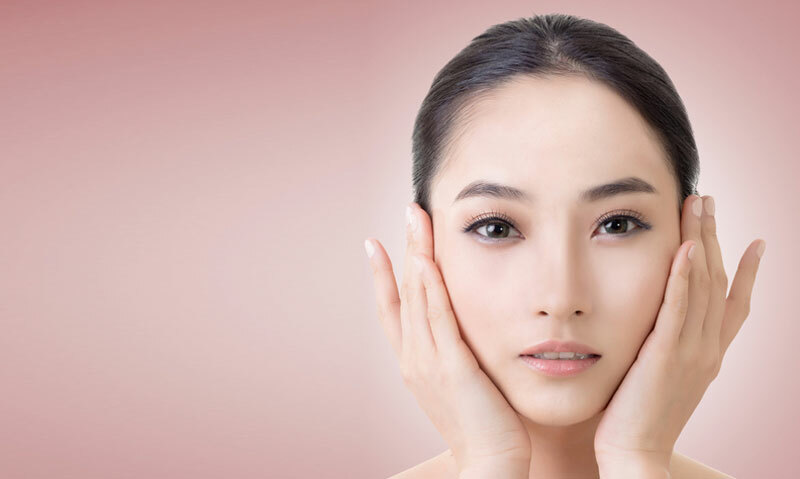 The skin directly under your eye is thin and fragile in comparison to the skin on, say, your cheeks or forehead. In one study, published by Skin Research & Technology, dermal thinness of the lower eyelid was cited as a potential cause of dark circles. Another study found that, in all test subjects, the skin of the upper eyelid was the thinnest on the face. The skin on the tip of your nose is 3.3 times thicker, according to researcher’s measurements. This difference in dermal thickness means that some skin can handle harsher methods of applying skincare, like rubbing, and others need to be treated more delicately. 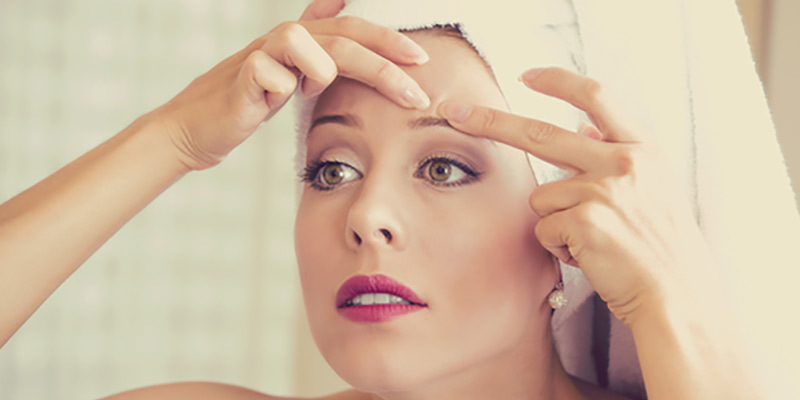 Dr. Nazarian suggests gently patting products into the area around the eyes. Rubbing could cause the skin to “darken and swell, leading to under-eye shadows and bagging.” That’s the exact opposite of what the skincare you’re applying is aiming to achieve. Your best bet when it comes to which method of applying skincare to use – pressing or rubbing – is knowing your skin and knowing your products. 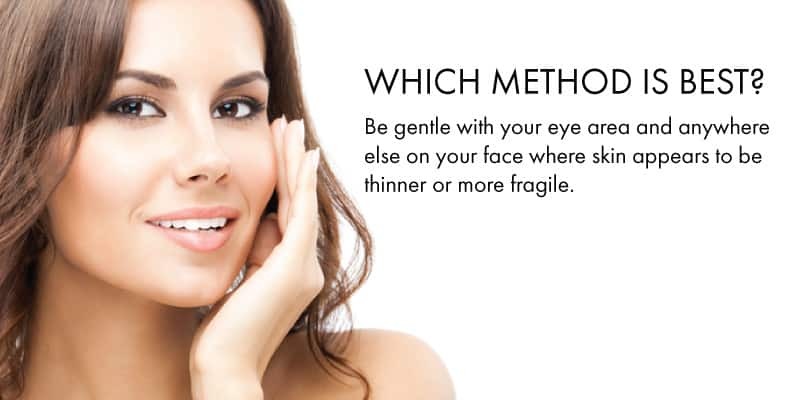 Be gentle with your eye area and anywhere else on your face where skin appears to be thinner or more fragile. Look to your individual skincare products for guidance as well. An eye cream might suggest patting. 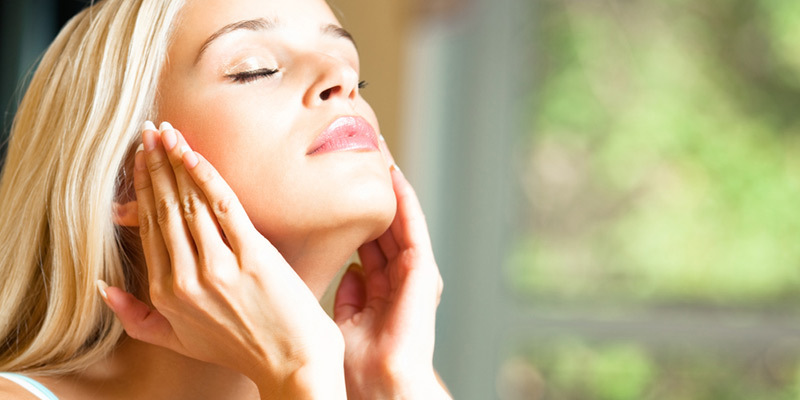 A facial moisturizer may recommend applying by rubbing in an upward motion to stimulate the lymph circulation. Be careful not to rub or press too hard, though. Any unnecessary roughness can damage even the thickest facial skin.